Any sort of transparency effect? I tried to use the one native to AppGameKit, but it seems to be dependent on where the camera is located. Is your grass/ground object also semi transparent? Yes, the grid is transparent. You have a transparency sorting issue id bet. Basically, transparent objects arent written to the depth buffer and so draw order becomes important. Some objects have the grid on top of them and some have it under them. An option is to set the grid to invisible and manually draw it usibg drawobject before each sync. In other words manually controlling your draw order. You were right. I adjusted the gridshader to include the diffuse on my ground and added an emissive light to it. to give a slight color change. Its working now. Thanks! That was aggravating me. I know it was something I didn't understand. Awesome I see you released this while I was away. Just purchased it through Steam (since that is where I bought App Game Kit and the other DLC). I'm guessing these shaders won't do anything for sprites only 3D objects? If that is so do you have any plans on making a bunch of shader fx for 2D sprites (fire, ice, stone, outline, blur, glow, etc)? I will have to create some cubes and experiment with these later. Yes this pack is only for 3D objects but some of the fullscreen shaders might be abusable for sprites. I'm toying with the idea of creating a 2D shader pack in the future. 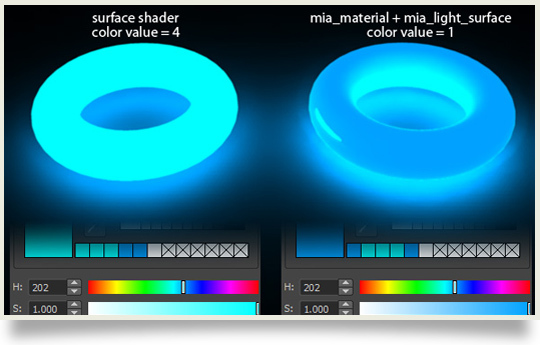 Well when it comes to shader fx the only limit is imagination. You could truly make a hundred of them for 3D and 2D I think. I've seen a stone shader fx someplace as well. It basically turns the image into grayscale with increased contrast and I think it had some light glistening going on IIRC. But anyway those videos above may give you some ideas. Anything you can create that we can just plop in is a very good thing. Make plasma, noise, teleportation, poisoned, covered in blood, wavy fx fading in and out like it is caught between this realm and another, one that has dots / stars glistening all over the image (for powering up, etc) and so forth. I think others would like this kind of thing as well. Anyway, I think it is awesome you are doing these! Thanks a lot! Much appreciated. And don't take those videos the wrong way I greatly prefer AGK2 over Unity. I could never connect with that. AGK2 is ideal and with you powering it up even more with cool shaders... we will see some very cool looking games coming out next year or so I think! A package of 2d shaders would be really awesome! I already looked into it but as I have no VR device my self I have not much time to test/work on it. Quote: "Hey, now that Ron lets us render left and right eye individually, do you think you can get the shaders to play along with VR? (I have no clue whatsoever how much work this would be)"
That was the intent! Unfortunately, I don't really have time to play with the shaders at the moment. I currently have a crazy work schedule that is keeping me from working on the fun stuff! If you get time to try it out, basicFanatic, let me know if there is anything else needed on the VR side of things! Too bad! I could do the testing, but that would be quite a bothersome workflow! Well, I do think all the commands are available. So, it might not be a matter of testing as much as it is a matter of just using them! All it will probably take is someone that is interested enough in trying it out to confirm that it is working! Could you please give me a help about the SP_ColorGrading_SetLookUpTable(Lut.ImageID,Lut.ImageID) function? Why there is a second image handler? The ColorGrading Demo shows how you can interpolate between multiple LUT's using AGK's Custom Tween Values. Can you ask that more specific ? You want a combination of toon and glow ? Sorry, im asking for two different thing. 1. Toon shader, im only getting small highlight on my character. Is there any control it and lighting direction? 2. Ive seen the illumination and glow sample, but i dont find what im looking for. 1. You can set specular highlight with SP_Toon_SetSpecularPower(ObjectID,Power#) and the level of shades with SP_Toon_SetLevel(ObjectID,level) for each object. 2. Use the Glow effect in combination with the illumination effect and provide a fourth image containing the glowing color. You then can set the Glowing power with SP_Illumination_SetGlow(ObjectID,Glow#). I ran into a problem with the grid shader not working with Android - fwidth is not working on any of my android devices. Are these shaders compatible? Can you add some GL ES check tests, if not? I think there are a lot of devices that do not support highp and other functions? edit: my android devices also do not except derivative functions. That's right dfdx doesn't work in glsl es. No shader in my shader pack use functions that aren't ES compatible, except of the wireframe shader, and I made a second wireframe shader that works on ES, which my lib automatically takes if it detects the mobile phone OS. And the highp will be mediump in glsl es and should not be a problem. The grid shader isn't part of the pack but I can try to find a solution for it too ofcourse. OK, just wanted to make sure before I planned anything else. I do appreciate it. I have been looking, but I really don't understand the shader language enough to make more than minor changes. And def don't understand how to find derivatives. Maybe I am blessed since, as of right now, the Eagles are wining in Super Bowl LII. Quote: "The grid shader isn't part of the pack but I can try to find a solution for it too ofcourse." @george++: The Grid shader hasn't a wide range of use like the other shaders in the pack, but if my customers want it, then it shall be. So you will probably see it in the next version. Im still a fan of NPR render. @Janbo, i request pixelated 3d render that make edge of mesh pixelated in your next update or your new shader pack. I have a problem with the shaderpack! I have a Samsung Galaxy S8, so it should be able to run properly. It does run faster on my phone than it does on me laptop, but it only runs at 9fps on my Samsung Galaxy Note3! Are you sure your android device loaded the dudv map properly ? You want to send me the source code so I can check whats happening ? It was a filename case issue. Fixed it now. And glad its alright now. I have so much stuff I want to implement... It gets messy in my head, you know what I mean. But there is also this atlas texture problem that I'm facing to get many different textures working for the terrain shader with mipmapping. I feel honored to show you some pics from the work-in-progress terrain shader made by janbo. content is made by me. it needs some polish, but the terrain shader works well. the shader is still beta and not aviable, but progress is going on, just wantet to show off, to be honest. btw: i targeted the scene for pc...still have to optimize. Excellent work! I don't know though, using this shader, if i could be able to paint my flat terrain with rocky roads smoothly blended with the grass. In this case is it possible to define where the roads will be? @george++: Yes thats the purpose of this shader, I use the splatmap technique where you have a color channel for each texture + the base texture so in total 5 textures for now. But it also applies bump mapping which is encoded as height map into the alpha channel of the 5 textures. Janbo, I've got 16 textures in an atlas working fine, with full bump mapping. You could extend that to as many textures as you wanted, no padding of textures, perfect mip mapping. All you have to do is offset the texel position and it works fine. Check it out in my post, the sharers are there to use and not as you see fit. Lens Flair like on the new Star Trek movies.. on the Bridge. I'll be buying this next month or so. Looking awesome Green7. Would love to have seen a animgif to show it in motion. Just downloaded the Shaderkit update, but when I try to run the Collection.agc I'm getting an error. This could be due to my aging machine, however I didn't get this using the previous version. Any idea what is the cause of this? If the file BlurH.ps exists, I am wondering about the file/folder access privileges. Do you run the AppGameKit as administrator? Just tried that: no change. I've already tried restarting my machine, copying the updated files over the previous version, broadcasted to Android, but sofar nogo. Also doesn't appear to be a path issue, for I've also tried unzipping it to my D:temp folder and doesn't change a bit. I'm puzzled. Do not have any other issues. - BlurH.ps doesn't exist in this referenced folder: only the BlurH.pc version. Found the file in Shader Raw and copied these files over to the Shader folder and now all work. Not sure if this was intended like that? - I found on my Android phone the text labels are bit too big, blocking view at the actual objects they're indicating. - Dragging round the objects can mess up the view. I know this is just a demo, but a simple button at top of screen to reset objects to their initial position would be handy to quickly restore view instead of restarting the program. - Terrain shader looks great but is bit too heavy for my relic of a machine(kills the FPS), especially when combined with water . Mind you that this really is an old machine (2008), so yeah, understandable. But I do not have this with the inbuilt terrain stuff. - When under water looking up it the water isn't transparent. Is there a way to change this? Other than that; very nice stuff. Keep up the good work! I'm sorry, I am developing the pack using the raw shaders obvously and while I created the new build I must have forgotten to remove SP_SetReadRawFiles(1) at line ~70 in the main.agc of the collection project which causes the project to load the raw files instead of the encrypted ones. But for the final version I encrypt all shaders and replace the raw shaders with them. So you either want to remove SP_SetReadRawFiles(1) or copy the raw shader files into the project. Ah, you beat me to it while I was posting(please see above). -Commenting out line 70 indeed did the trick. Many thanks. We've updated this file on Steam and in the TGC download zip.